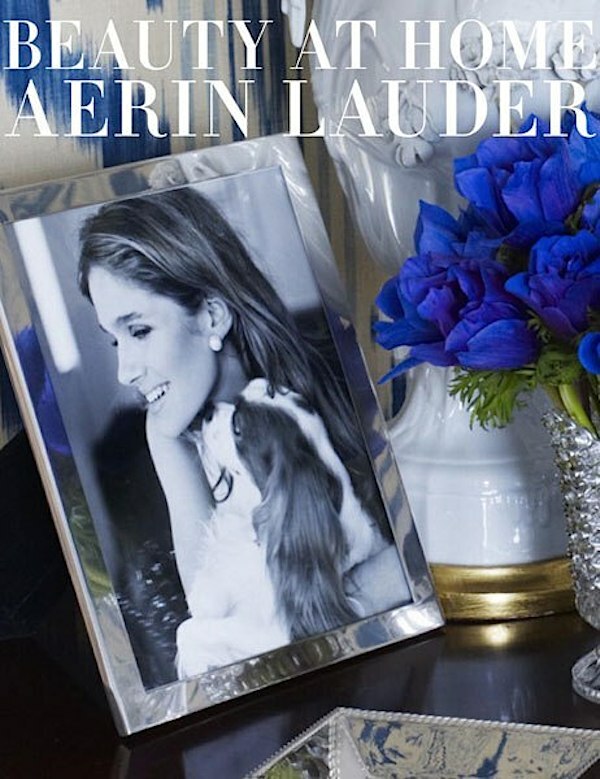 Less than two years ago, Aerin Lauder expanded her focus beyond her role at Estée Lauder to launch her eponymous lifestyle label and since then has continued to evolve and expand the brand. While debuting with a cosmetic collection, the company now includes fashion, fabrics, furniture, lighting and tabletop. And in her seasonal Southampton shop, Aerin offers an even wider array of summer essentials, selected from her own lines and others she loves. 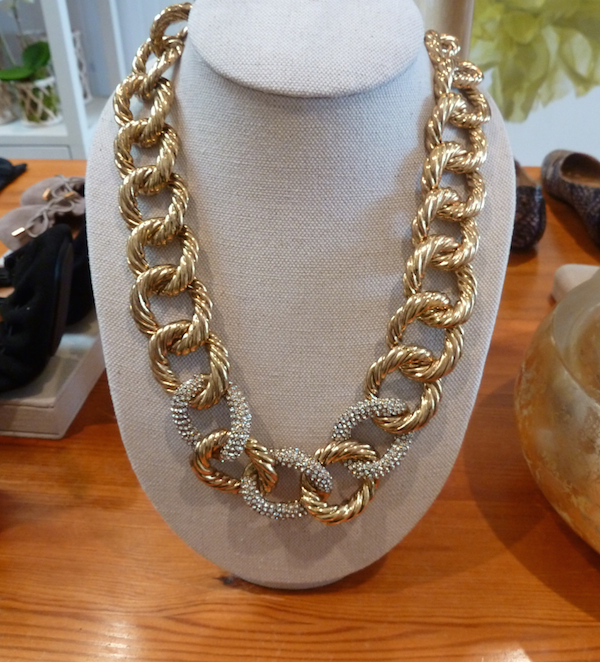 Putting her own spin on her stylish heritage, AERIN is all about effortless chic in every aspect of life. Susanna and I were thrilled to visit with Aerin in the Hamptons – in town, at her shop and at her iconic family home for a lovely garden lunch. Join us for a delightful day with the woman behind the burgeoning brand. One of the reasons AERIN, the label, is so successful is because it is an authentic reflection of Aerin, the wife, mom and style icon. Translating the graceful flair she learned at home into products with a contemporary yet traditional twist, she has created a world that resonates with many. Her lifestyle may be on a luxurious level, but her down-to-earth, family-oriented approachability gives her brand both aspirational and relatable appeal. Her home reflects a livable luxury where children and dogs are welcome in every room. Sisal rugs mix with family heirlooms for a very personalized version of casual elegance. And many of the iconic pieces have been translated into updated versions for her collection. to books and favorite picks from other often under the radar lines. And in addition to creating her numerous collections, Aerin found time to pen her book, Beauty at Home. Including family memories, traditions and travel, she offers examples of how her legacy has helped form her sense of style today. 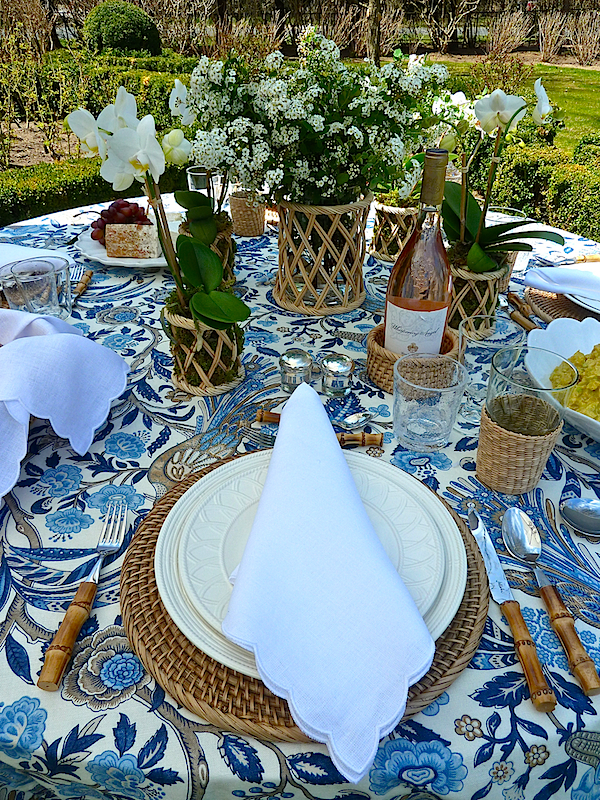 So thank you Aerin, we were thrilled to spend the day with you in Southampton and at your gracious home! This entry posted in At Home with, beauty, fashion, furniture, garden, gifts, interior design, Quintessence video series, Stylish Shopping, travel. Entry Tags: Aerin Lauder, AERIN Southampton, design video, fashion, Hamptons shopping, interior design, Style Bookmark the permalink. A wonderful tour by a lovely hostess of an exquisite lifestyle! I thoroughly enjoyed visiting Aerin’s beautiful home and downtown Southampton with you and Susanna. This is a video I will watch over and over again to savor and study every fabulous detail. One of my favorite Quintessence videos — thank you! Left with a smile on my lips. I just can’t get enough of Aerin and her gracious lifestyle. Or your video series. Transported….bravo ladies! Fabulous feature! What a charming yet real life. Her innate style is enviable to be sure. 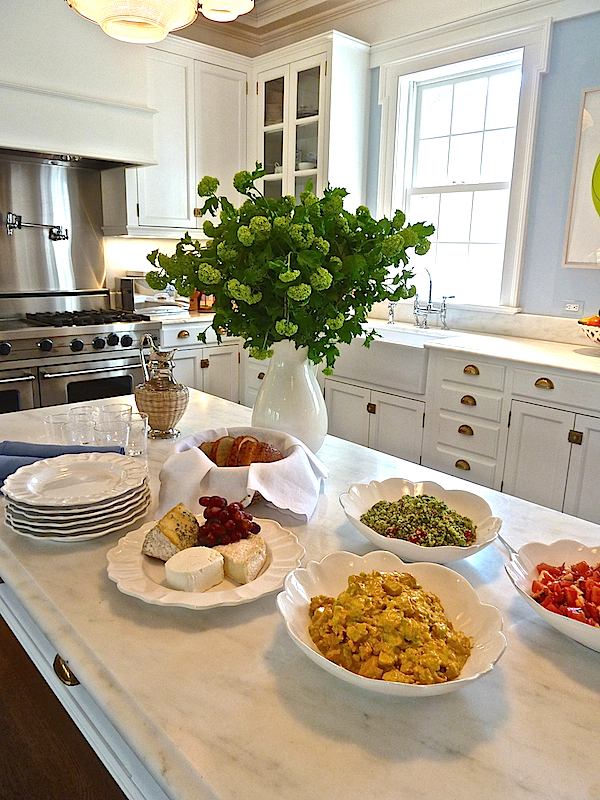 My fantasy day in the Hamptons realized…fresh, light, stylish & decadent- loved it! Thank you! Can we say that style is genetic? In this case, yes! So casual and elegant and modern with s nod to the past Perfect! Love the dogs – but where was the Cavalier King Charles spaniel from her photo? The video was wonderful and the images are stunning. I follow Erin on Instagram and just love and enjoy her talent. I will bookmark this post! Style and timing…not only are you presenting the v best design, your timing is perfectly seasonal. This visit clearly right for early summer and oh so lovely. Thank you Stacey and Susanna. I love these videos! You’ve shown Aerin’s store before – do you know if her tunic top is sold in there? If not, any idea where it’s from? Thanks! I am so inspired by your fabulous interview and Aerin Lauder. Do you think Aerin might share with you the paint colors she chose for her kitchen, and the very light purple for her sitting room? I would love to know! You are the master of video direction and production for design, Q. Kudos! Loved the video and the post. This is your best video. I thoroughly enjoyed watching this! I am obsessed, I have now watched every video you have done on youtube that I could find! I began with this film on Aerin and just couldn’t stop. 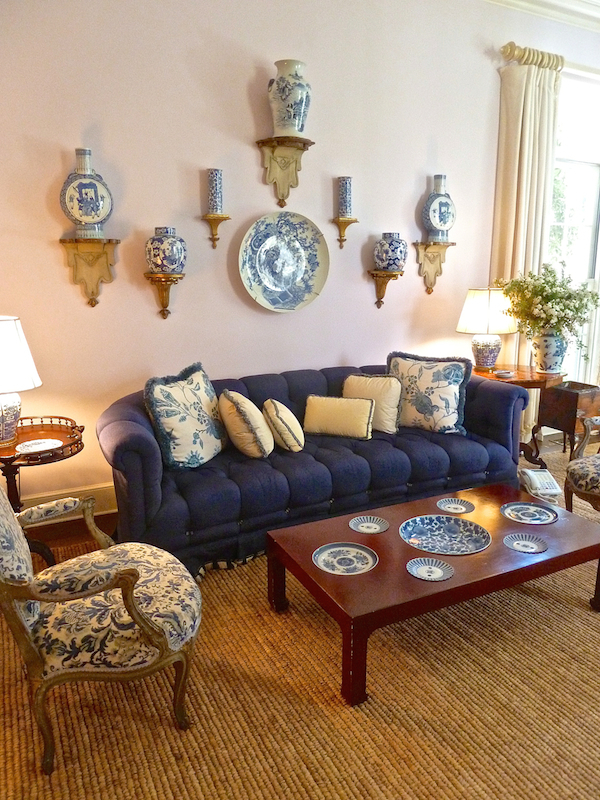 :) I love this video on Aerin, her home in the Hampton’s and store is just beautiful! She to me is the epitome of a lifestyle icon. Stunning, as always! Do you know what/ where she got the print/ art that is hanging in her kitchen? You can only see a section of it. I love the pop of green it gives the space! What a lovely home!! Can anyone tell me what the print/art that is hanging in her kitchen is? I love the pop of green it adds! Thank you for sharing! I also have a bunch of Brittany’s. Aside from everything else you represent, you are even more special.. I would love to know who your breeder is – as definitely I think your one happens to go back to similar breeding to mine by his back leg markings – I call it as wearing pants. Can’t tell Biscuits as she is laying down..
81 queries in 0.613 seconds.